It's time for another unboxing! This time I was lucky enough to get my hands on a FairyLoot thanks to their creator, who has sent me a box in return for an honest review! The hype about FairyLoot has been so huge that I couldn't pass up the opportunity to receive one. 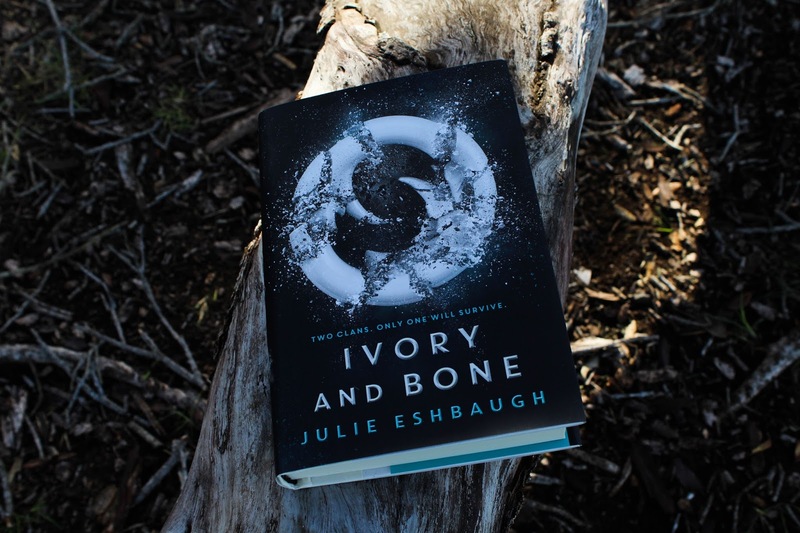 One recently published copy of an exciting Young Adult book, usually hardback. A unique buddy reading hashtag that links you up with another person. 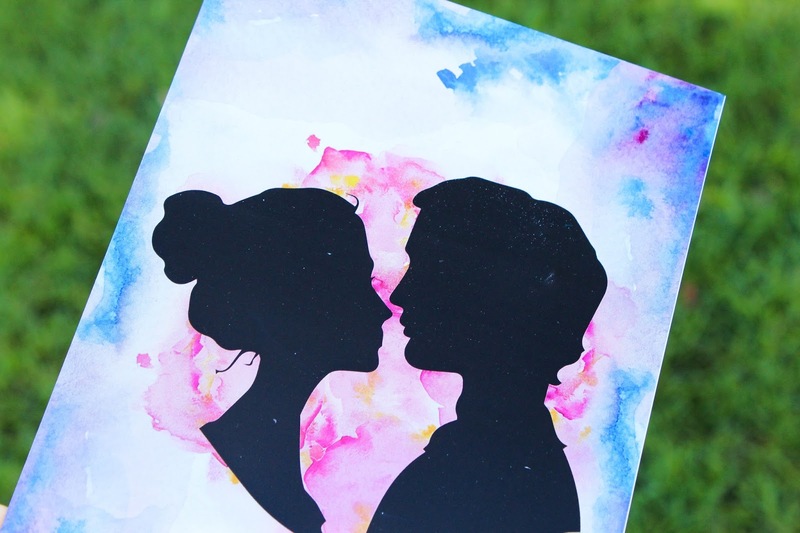 4-5 bookish goodies related to the theme of the month. These can vary. 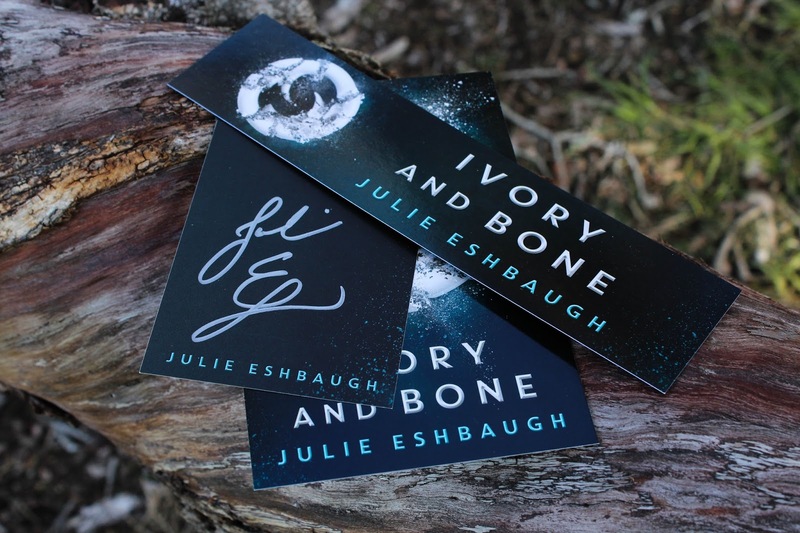 Promotional items and signed bookplates whenever it is possible. *List above came from the FairyLoot website. 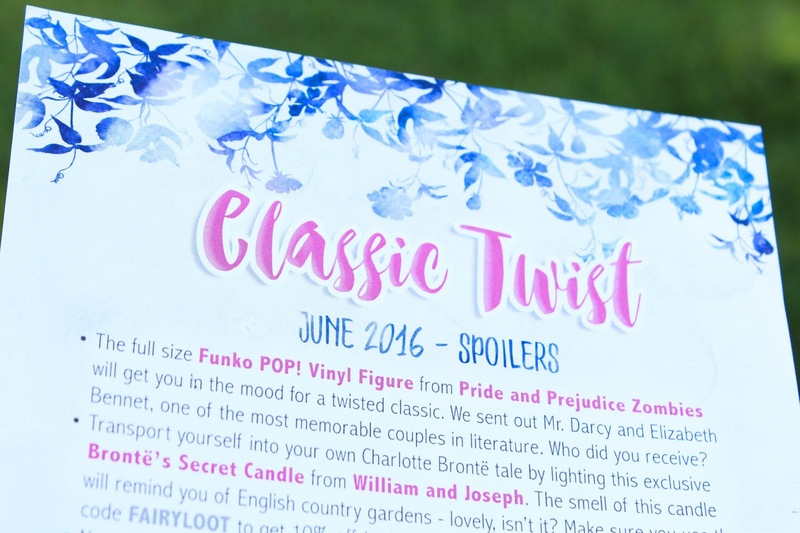 I received the June Classic Twist box which was very exciting, let me show you what was inside! The first item that I saw when opening my FairyLoot was this Elizabeth Bennet Funko Pop! 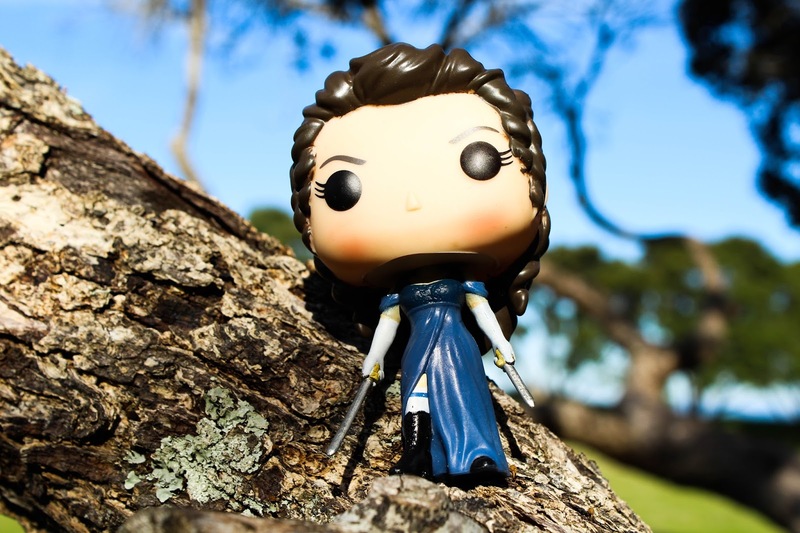 Vinyl Figure from Pride and Prejudice Zombies. As usual the figure is really well made and detailed. Getting Funkos in subscription boxes is definitely one of my favourite parts. I haven't actually read this new zombie version or seen the film but owning this Funko might just convince me to do so sooner. FairyLoot also sent out Mr. Darcy! 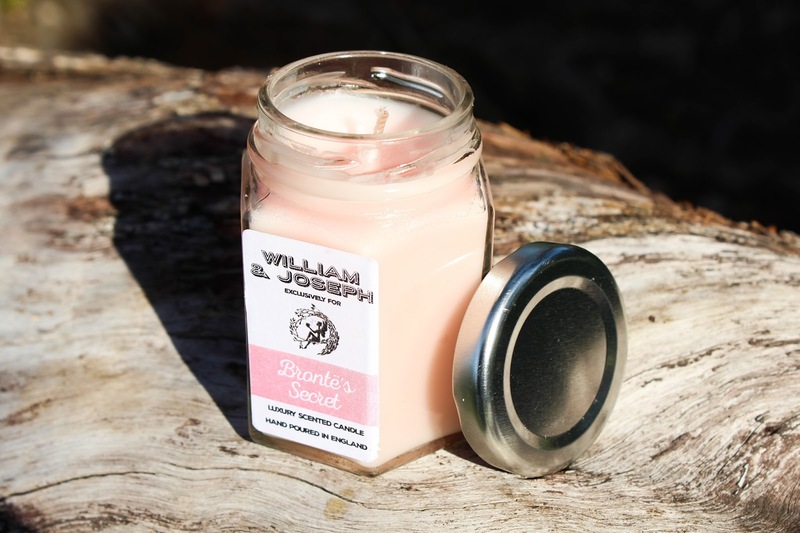 The next goodie in the box was this Bronte's Secret scented candle from William and Joseph which was exclusively made for this FairyLoot box. One of the things I loved about this candle was it's literally the biggest one I've ever received in a subscription box! Usually we receive cute little tins and sample scents but this one is much bigger! The scent kind of reminds me of soap, it's a very fresh and clean smell. I adore the colour! 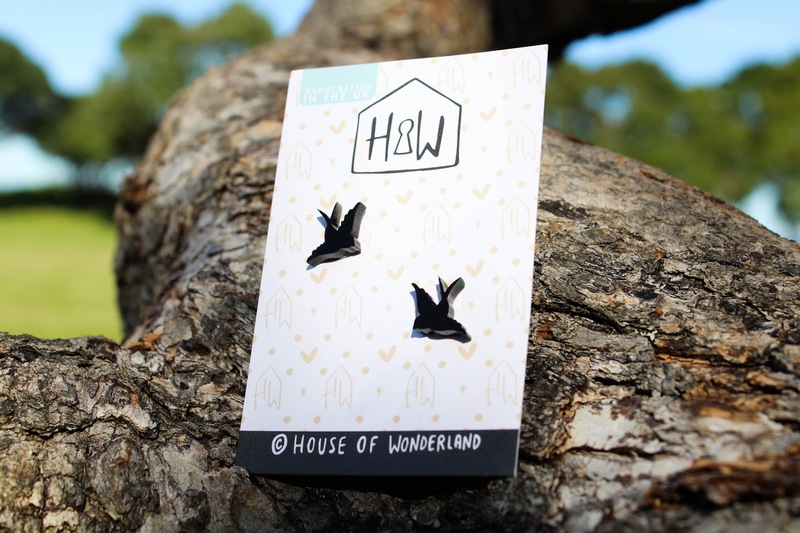 This pair of gorgeous swallow earrings were the next item that I found made by House of Wonderland and I have to say, I adore them! These might actually convince me to change my earrings a bit more often. The swallows are cut out of what seems like a heavy plastic and I don't have to worry about them getting bent or anything. A wonderful addition to the box. 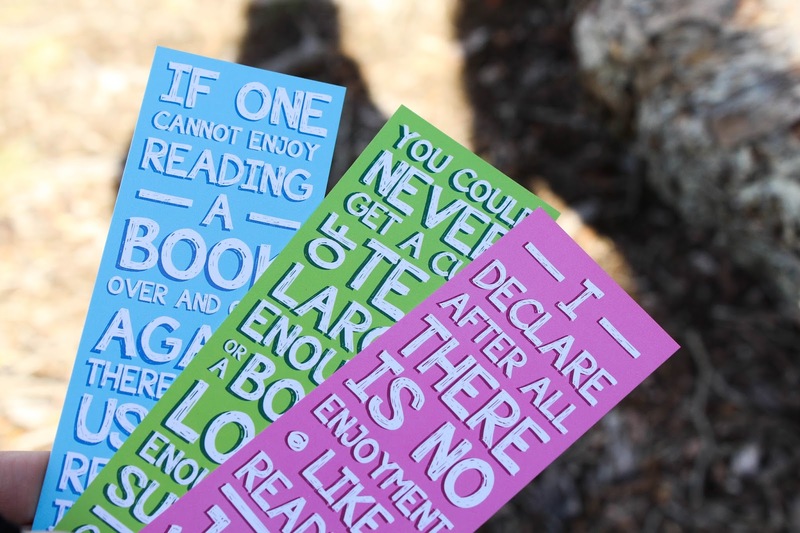 All the bookmarks are printed on high quality card and have the design on both sides. 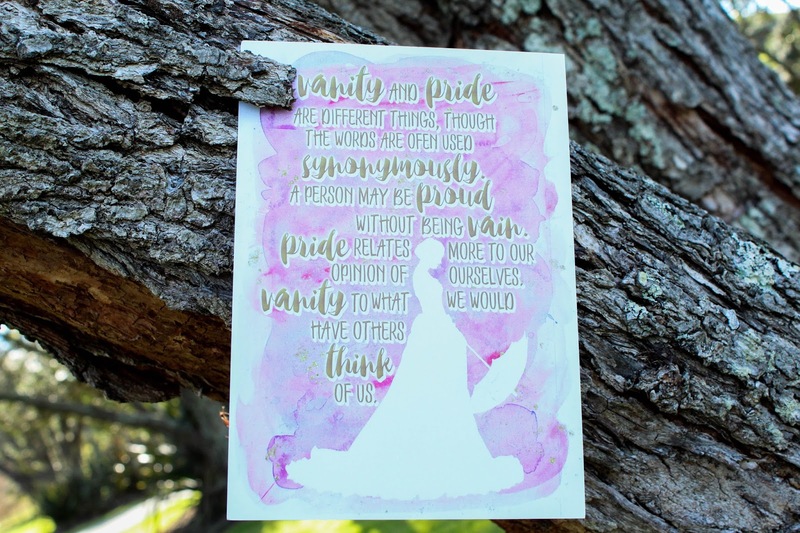 The last goodie was this Pride and Prejudice quote art print! It reads 'Vanity and pride are different things, though the words are often used synonymously. A person may be proud without being vain. Pride relates more to our opinion of ourselves, vanity to what we would have others think of us.' This was designed by the FairyLoot theme and although they refer to it as a 'mini' print, I'd have to say it's a very decent size! I have to say, it's not the kind of book that I would usually pick up for myself but I think that's a plus side to subscription boxes, they convince you to leave your comfort zone and maybe find a wonderful book that you wouldn't have picked up otherwise! 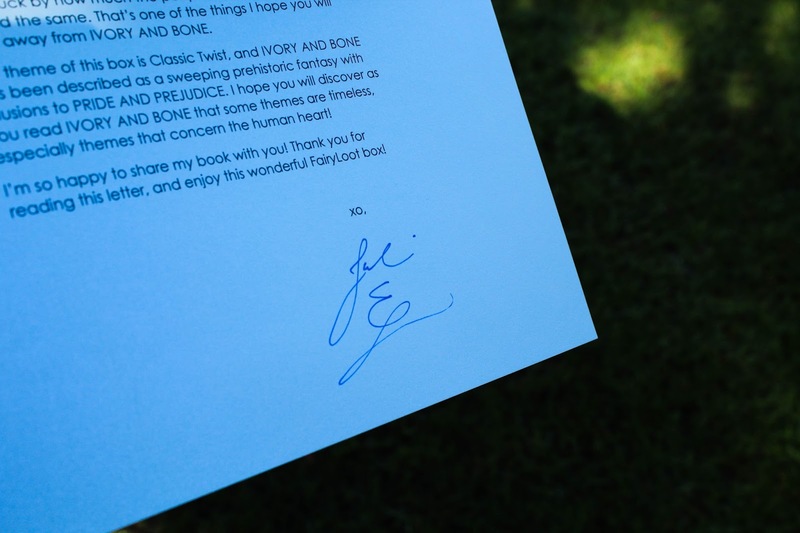 We were lucky enough to get a signed bookplate, a Ivory and Bone bookmark and poster and this letter from the author herself! 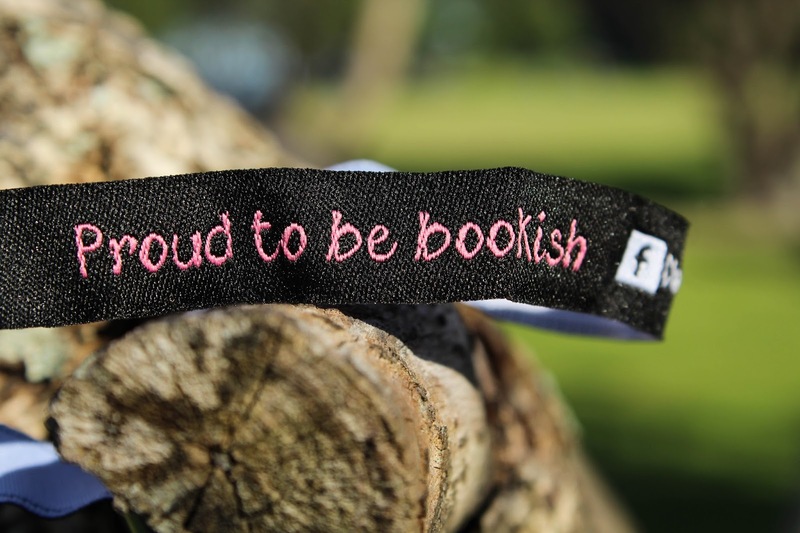 And last but not least, we also received an extra goodie in the form of this Chapter 5 Proud to be Bookish fabric bracelet. This being my first ever FairyLoot I was extremely impressed! I love the obvious dedication to the theme in all the items and found that everything was high quality and beautiful. We received discount codes for many of the shops listed above so I'll be sure to check them out as well! One thing I also wanted to talk about was the buddy reading tag. When I received the box I had no idea what it was but then my lovely friend Gina (from Behind The Pages) let me know it was for buddy reading! 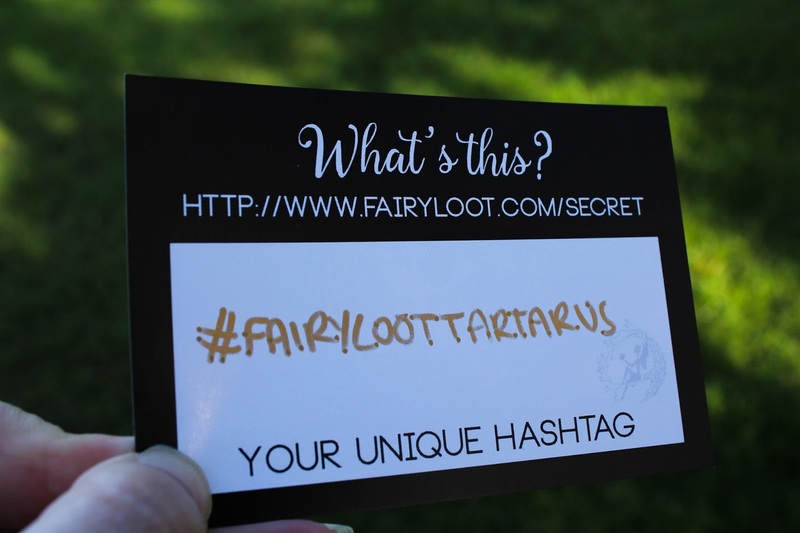 Every month FairyLoot sends out a card with a hashtag on it, only two people receive each hashtag and you can choose to buddy read the book with that person if you wish. I think it's a great idea and an incredible way to make new friends. If you don't find your reading buddy you can even contact FairyLoot and they'll buddy you up with someone else. If you're my buddy please reach out to me! I've yet to find mine. I believe that the August 'Dark Deeds' FairyLoot is already sold out, which is such a shame, but the September box should be available for sale soon. These boxes sell out incredibly fast, so make sure to keep an eye out for notices and updates by signing up for FairyLoot's newsletter or following them on their social media. They also run lots of competitions and giveaways, so don't miss out! Thank you so much to FairyLoot for sending me their June box! I absolutely loved it. 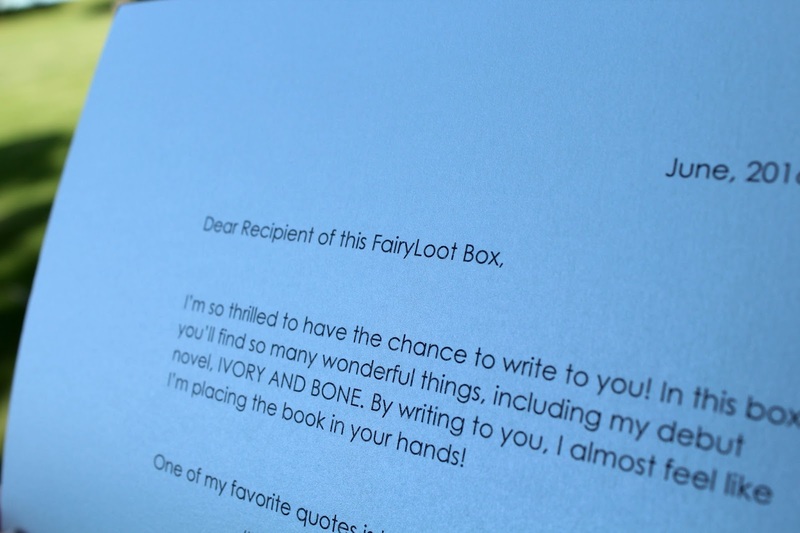 Make sure to let me know in the comments below if you received a June FairyLoot and what you thought. What was your favourite item? Have you tried the book yet? If you aren't currently subscribed to FairyLoot do you think you'll sign up soon? I hope you all enjoyed this review/write up.